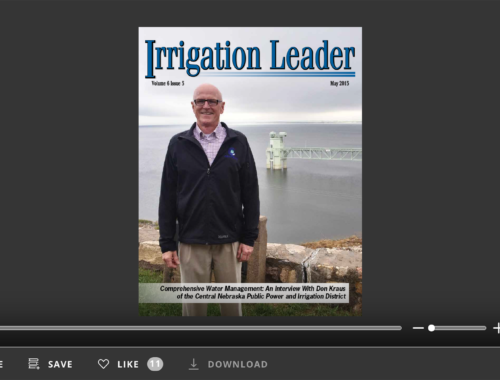 he readers of Irrigation Leader know that our field is always advancing—whether because of decades-long conservation and infrastructure projects or because of technological leaps that improve the equipment in the field. In our cover story this month, we talk with Lori Brady, the manager of Sunnyside Valley Irrigation District, which has embarked on an ambitious, 40-year project to enhance its infrastructure and make it more efficient. A more efficient delivery system means that individual farmers can also use water more efficiently. Ms. Brady tells us about how her district’s new automated check structures and the enclosed laterals it is currently installing serve both environmental and economic ends. We also highlight innovations in the center-pivot irrigation field. From the development of new monitoring and management software to improvements in the strength and effectiveness of the physical structure of mobile irrigation systems, center pivots are getting better, faster, more sophisticated, and more reliable. Neal Schlautman of T-L Irrigation tells us about his company’s PPT graphic display panels and its shared real-time kinematic GPS base stations, which help irrigation systems achieve sub-inch accuracy of movement. 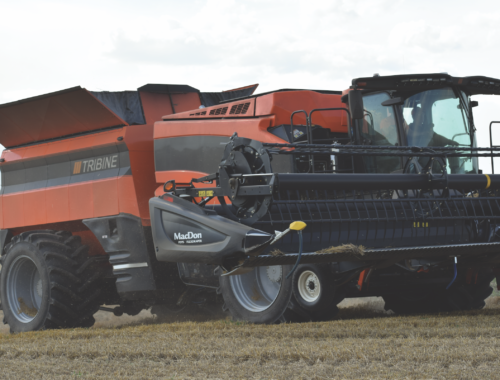 Chris Righter of Valley tells us about the X-Tec drive system, a robust constant-move drive with a switched-reluctance DC motor. 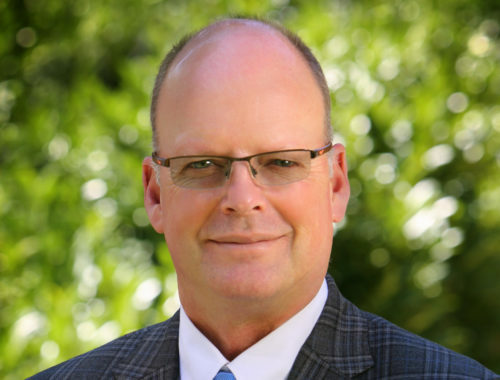 Cody Bailey of Reinke tells us about how his company is applying advances in material science as well as both in-field and cloud-based computing. We also look at good old-fashioned feats of engineering accomplished by three family-owned businesses. of irrigated water, Dragon-Line achieves high levels of efficiency and precision. Herb Besler of Besler Industries introduces his company’s new tractor-drawn pivot track closer. And Dana Rosendahl of General Irrigation and Dewatering tells us about the genesis of his company’s powerful Dyna Flo pump. The novel application of well-known technologies; the invention of brand-new computer systems; and the development of new, more reliable machines are all changing irrigated agriculture for the better. Advances in center-pivot technology are all around us. 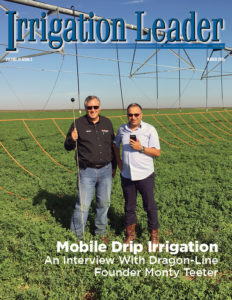 We hope that this issue of Irrigation Leader introduces you to some of them.